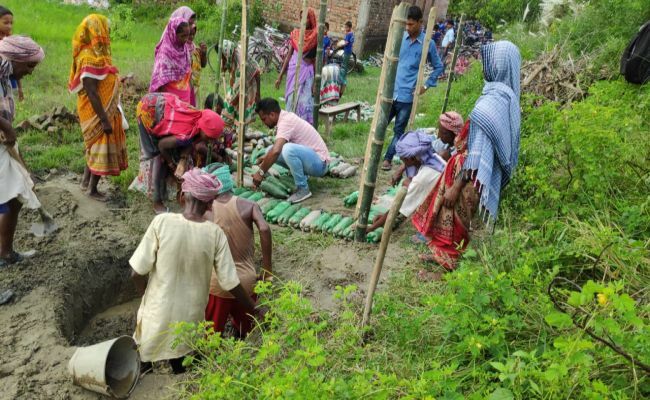 Mumbai: It was last year during monsoons when hundreds of plastic bottles crossed the Nepal border and entered the Indian territory in the town of Valmiki Nagar in Bihar through the Gandak river. Gandak river is one of the major rivers of Nepal and a left bank tributary of the Ganga in India. 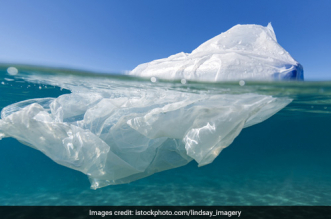 Plastic waste from Nepal coupled with plastic trash discarded by the tourists that visit the Valmiki Tiger Reserve is gradually becoming an environmental hazard for the locals as it either remains in the river or gets burnt leading to water and air pollution. Addressing this issue, an NGO – Goonj came up with an idea to reuse plastic bottles to make urinals thus tackling the waste problem and at the same time providing safe sanitation. Because of the Tiger Reserve, the tourist influx is high round the year in Valmiki Nagar. This has led to high plastic waste generation. In addition, the plastic bottles get transported from Nepal every monsoon. From whatever waste the town collects, civic officials treat the non-plastic waste leaving behind plastic bottles, bags, etc. After researching for a few days in September, we came up with the idea of using the plastic bottles to make urinals. There are many international examples where people have already done this. The method was taught to the locals post which the implementation began, Ajay Jha of Goonj tells NDTV. The locals helped the NGO in collecting the plastic bottles from the river and the Tiger Reserve. 1,250 plastic bottles and tonnes of other plastic waste like wrappers, polythenes, etc were collected. 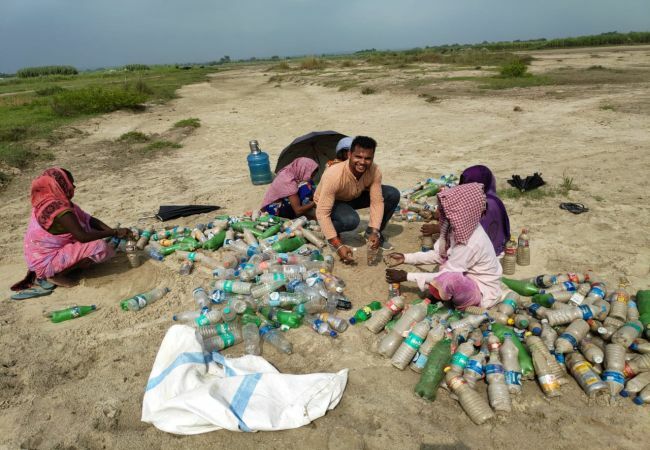 The plastic litter was torn down into pieces and stuffed into the bottles along with sand. Bamboo sticks were used to join the bottles. The bottles were used in place of bricks to construct the urinal. It took less than five days for the locals and the NGO to achieve the task. The urinal was made on an experimental basis and we tested it in the school for a week. The urinal is not only cost-effective but also more durable and stronger than bricks. Since the experiment was successful we have decided to use the same method to build other things from plastic bottles, says Mr Jha. 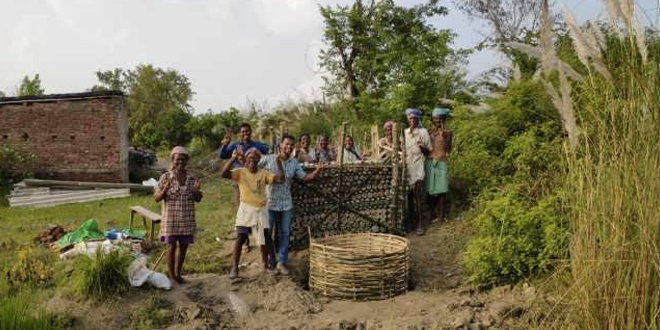 The entire project was implemented with zero costs since the locals were themselves involved and all the raw materials were scrap items. The urinal has been connected a sewage pipeline eliminating foul smell and health risks. The locals have already started to work for an upcoming project. Besides making more such urinals, the NGO is also planning to build a wall in a classroom of the same school. A government school in the town doesn’t have a separate classroom. Children from various grades are taught in one single room. The NGO hopes to build a wall in between the room as a partition. Plastic bottles will be used for the activity and to make it look more attractive, LED lights will be kept inside the bottles. 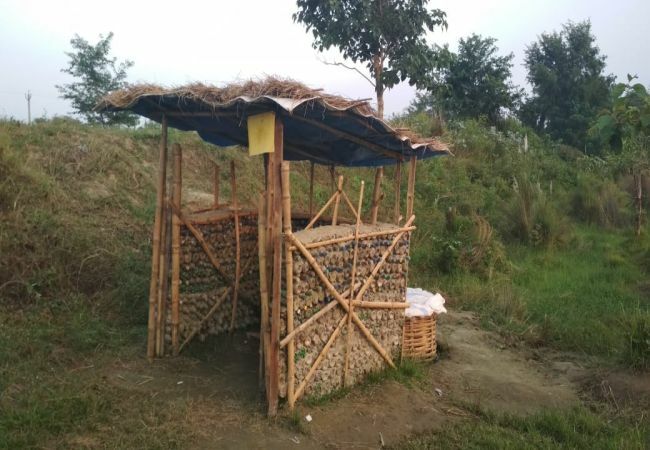 The NGO is also hoping to build a toilet from plastic bottles near the Tiger Reserve to provide the relief to the tourists and prevent open defecation. 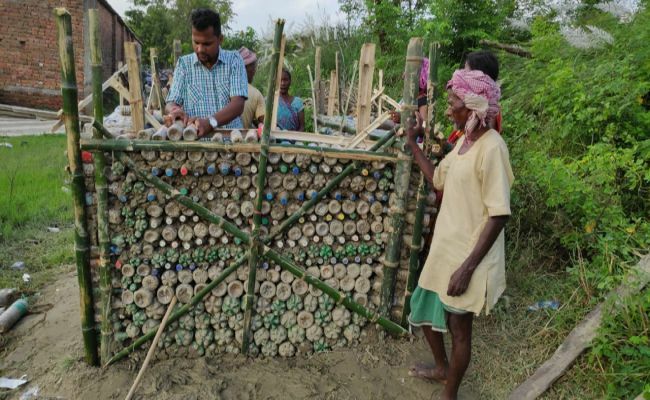 Along with planning innovative ways to reuse plastic bottles, the NGO is also striving hard to create mass awareness among people towards managing the plastic waste. 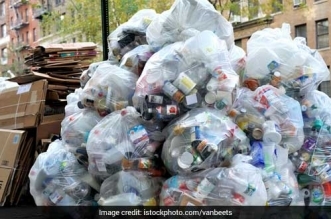 The NGO is appealing to people to store their plastic waste at home and if possible visit the tiger reserve and Gandak river to collect the plastic litter. Once a sufficient number of plastic bottles are collected, different ideas will be executed. “At a time when the government is already pushing for an open defecation free region under Swachh Bharat Abhiyan, our innovation will give a boost to sanitation. It will not only scientifically treat plastic waste but will also ensure safe sanitation. We are hoping to create more such urinals in the near future,” adds Mr Jha.